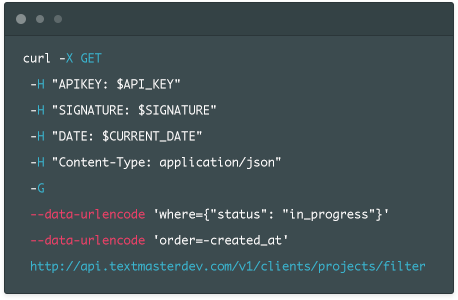 The TextMaster API streamlines your translation workflow. It improves your productivity while allowing your team to focus on their core business instead of manual processes. We provide the code and detailed documentation so that your developers can quickly and efficiently integrate our services. We have designed our API to be flexible so that you can integrate only the features and services that you need. You can save enormous amounts of time by creating a more streamlined and efficient workflow. Depending on which features you choose to integrate, you can place orders, communicate with translators and automate the integration of the final content directly on your own system. Our comprehensive documentation gives you full autonomy in integrating our API. For complex needs, our technical team can guide you every step of the way. In all cases, we are here to help you optimize your process and get access to a turnkey translation workflow. For customers with complex systems or needs, we begin by reviewing the goals and requirements. Our account managers and developers provide guidance during the API implementation and ensure that all processes run smoothly. Simple integrations, such as sending and receiving orders, require only a few days of development. With our extensive API documentation, it can be as simple as copying and pasting a few lines of code and testing the workflow on our sandbox. You can also take it a step further with more complex integrations, like the ability to place and approve multiple orders at once, communicate with authors, track project statuses in your own dashboard and manage your list of favorite authors. This type of integration can take several weeks to set up, but the significant increase in productivity of your team makes up for it.